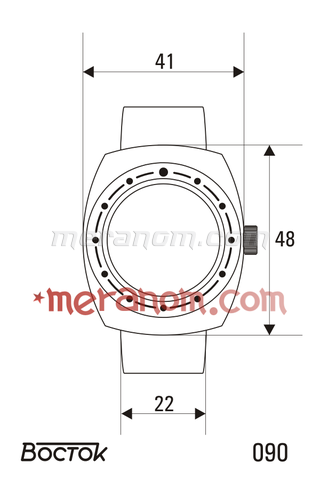 Include case, glass, winding crown, bezel, caseback, rubber rings. All stainless steel .. 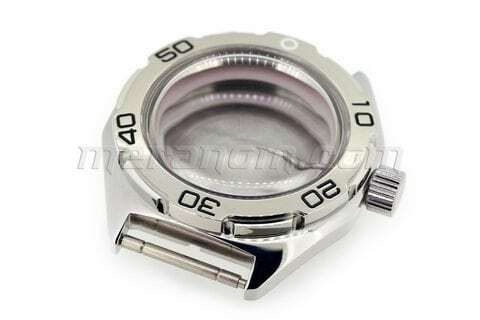 Include stainless steel case, stainless steel bezel, glass, stainless steel winding crown, stainless steel caseback, rubber rings. 41x48x14 .. Include case, bezel, glass, winding crown, bezel, caseback, rubber rings. Terms of Sale: Expected time of receiving from factory stock and sending the case - from one up to 3-4 weeks. .. 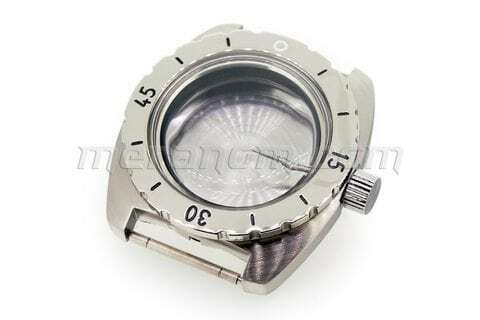 Include case, glass, winding crown, bezel, caseback, rubber rings. Terms of Sale: Expected time of receiving from factory stock and sending the case - from one up to 3-4 weeks. .. Complete set. 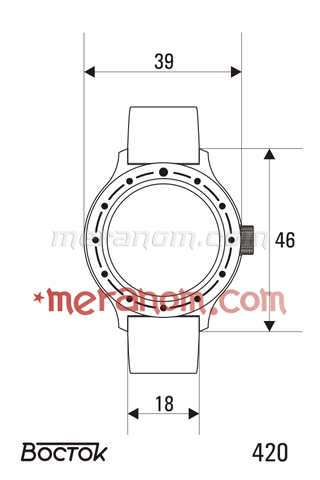 Include case, glass, winding crown, bezel, caseback, rubber rings. Terms of Sale: Expected time of receiving from factory stock and sending the case - from one up to 3-4 weeks. .. 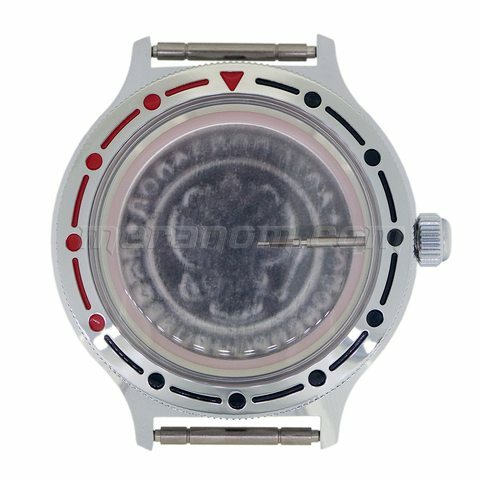 Include stainless steel case, stainless steel bezel, glass, stainless steel winding crown, stainless steel caseback, rubber rings. 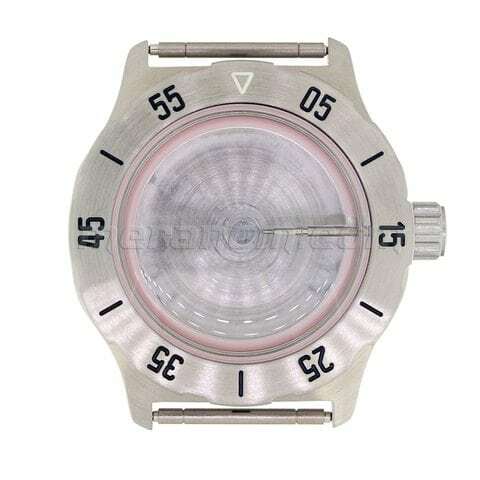 ..
Matt case for Vostok Amphibia watch. 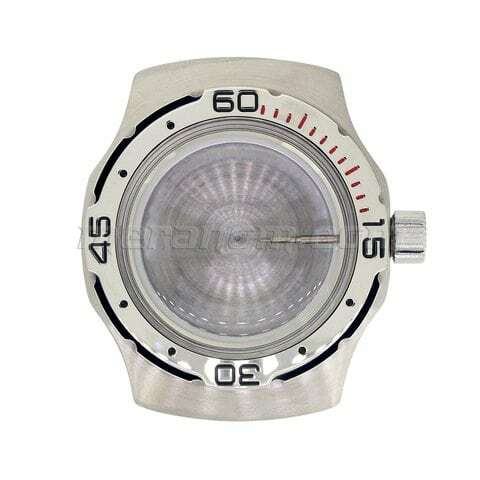 Water-resistance 200 m. Stainless steel. Plexiglas lens. 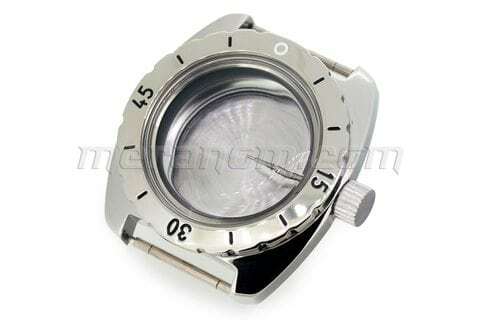 Polished chromed bezel made of brass. Set included: winding crown, movement fixing ring. Terms of Sale: Expected time of receiving from factory stock and sending the case - from one up .. 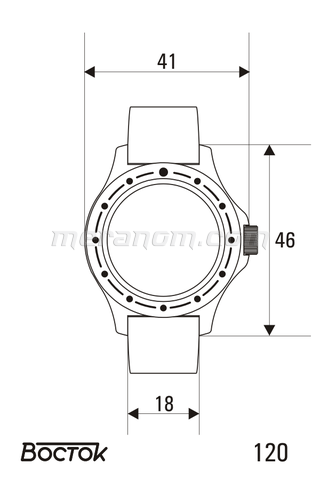 Include case, glass, winding crown, caseback, rubber rings. ..